So many times that i stood at the drugstore, doubting whether to buy it or not. It does smell delicious! I didn't know they had mini's. Maybe I should try that first! 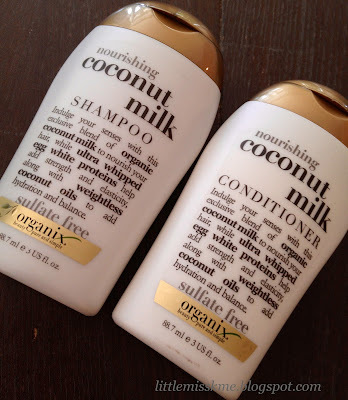 I love the smell of coconut so anything scented like it pretty much guarantees I'll buy it! I've been getting mixed reviews on this band, some people love it, and others say it dries out their hair. I do love coconuts and their smell! Maybe I'll give this one a go. PS found you from the Bloglovetherapy blog hop.